You know you're always getting the best value. 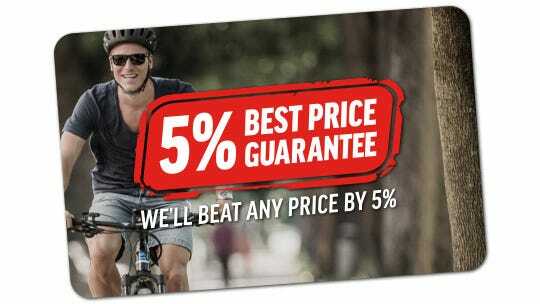 If you find a cheaper price elsewhere, we will beat it by 5%. This applies to any cheaper price found on an online store or in a physical store, in Australia. It applies when the competitor's final price, inclusive of delivery, taxes, fees and charges, is lower than our price. Ride home knowing if you don't love it, you can swap it. Enjoy peace of mind knowing that if you’re not completely satisfied with your new bike you have 30 days to swap it for free! 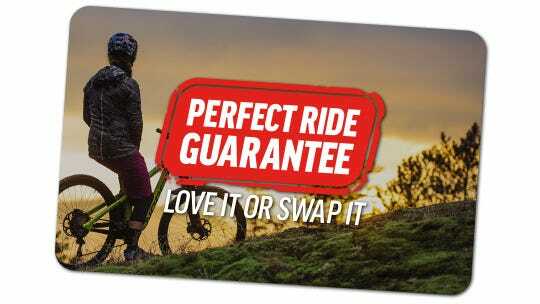 You can either exchange it for a bike of greater value and pay the difference, or exchange it for one of lesser value and we will refund you the difference.